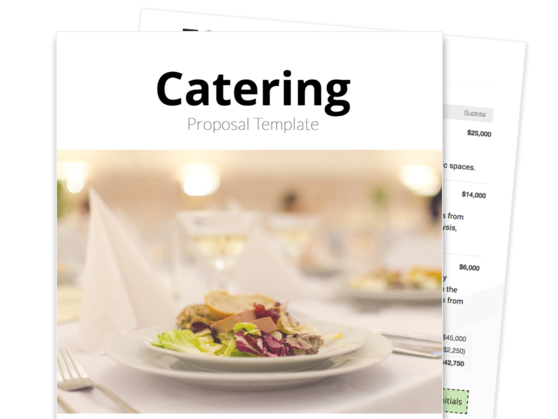 Save time with this polished catering proposal template and represent your business well. 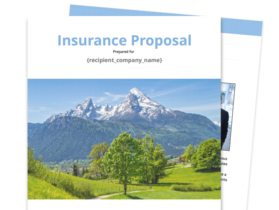 This catering proposal template includes an introduction letter, description of services, catering quote, and a signature page with integrated eSignatures that will help you close the deal fast. 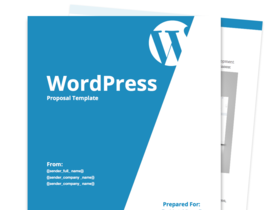 Take advantage of this slick and professionally designed catering proposal template that you can easily customize according to your needs. Highlight your staff’s experience and expertise in high-quality catering, while also giving them a quick but detailed idea of what to expect with your services. Create a proposal with full-color and vivid pictures of your past catering events, allowing your clients to see and appreciate your commitment to delivering delectable food and aesthetics. Clearly and transparently describe the different aspects of your catering services, from the recipes and other options included in your proposed catering package to what everything will cost in the end. Give your prospective client a short but sweet opener on what you do, how long you’ve been doing it, and the kinds of catering services that you provide. Spice this up with a full complement of high-resolution, full-color pictures that show off all the food and décor from your previous events, and you’ll be sure to wow over any client you’re looking to close a deal with. This section gives you a chance to introduce yourself and your team to the client, allowing them to get acquainted with the qualified people they’ll be trusting their catering needs to. Make sure to take the opportunity to highlight your catering company’s strengths through your staff’s biographies so that your client knows they’ll be working with trustworthy people with a sincere passion for excellent catering. This section lets you illustrate the kind of detailed and meticulous planning you’ll be undertaking should your prospective client choose to go with your catering company. This will give them a clear idea of the kind of turnaround times they’ll expect from you. The quote allows you to completely lay out the catering package you’re proposing for your potential client’s event, from the full list of dish types and dining options to your proposed quantity count and final cost breakdown—and with any discounts or adjustments included. This section also has room for tantalizing descriptions and clickable additional package inclusions, giving you a unique upsell opportunity. Don’t let it go to waste! This component of the proposal formalizes the agreement between you and the client. 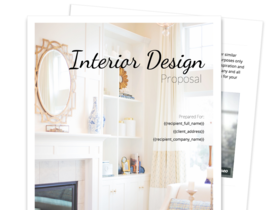 If you offer interior design services and you're tired of sending estimates and proposals, look no further than this automated and fillable interior design proposal template. With popular CMS systems such as Wordpress, Joomla, Drupal and many many more, you'll need to match your design skills with an elegant proposal such as this one. With just a click of a button, you can send your proposal for viewing while tracking the clients interest with our analytics.